Dr. Solomon Mathew Dorland was born on the 10th of November, 1849 in Prince Edward County, near Picton, Ontario. He was the 4th of 6 children born to Parson Dorland and the former Ora Mathews. His siblings were; Edward, Nellie, John, James and Susan and his parents were farmers. Dr. Dorland was educated at home until he was 18 years old. At that time, he was granted a teachers permit and taught in the public schools near his parents farm. According to the 1871 census, Dr. Dorland was living on the farm with his parents and teaching school in Sophiasburg Township, Prince Edward County. He furthered his education by attending the Provincial Normal School in Toronto in 1873. 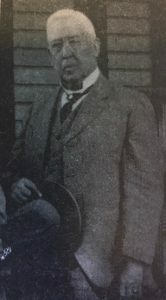 Dr. Dorland became the “Head Master” at Coburg New Central School for one year before being appointed as the Assistant Master in the Provincial Model School in Toronto. Dr. Dorland attended Trinity Medical College from 1880 until his graduation in 1884, obtaining the degrees of M.D.,C.M. He also graduated L.R.C.P. in Edinburgh, Scotland in 1884. Dr. Dorland interned in a number of hospitals in New York, before he returned to Canada. Dr. Dorland set up his medical practice in Rodney, Ontario (Elgin County) in 1885. Dr. Dorland appears in the 1889 and the 1891 Ontario Business Directory and Gazetteer and the 1895 Farmers and Business Directory practicing medicine in Rodney. Dr. Dorland routinely made the short journey to Duart, Highgate and rural properties in Orford Township, Kent County to see his patients. This is represented on birth and death records. It would be 40 years before Dr. Dorland purchased his first motor vehicle, so he attended his patients with a team of horses and travelled by the light of a lantern. His favourite horse was called, “Teddy”. There were times that Dr. Dorland would hire a driver when his practice was particularly busy. 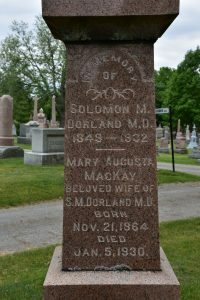 Dr. Dorland married Mary Augusta McKay on the 1st of June, 1892 in St Thomas, Ontario (Elgin County). Mrs Dorland was born on the 21st of November, 1864, the daughter of John W. McKay and the former Sarah Jean Sinclair. Mrs. Dorland had one younger brother named John Sinclair McKay. Her brother became a dentist. Dr. John Sinclair McKay died in 1895 at the age of 27 of pneumonia. Dr. Dorland purchased a block of property in Rodney in 1906 from his father-in-law, Mr. John McKay. The property became known as the Dorland Block and Dr. Dorland had his medical office in the Dorland Block. Dr. and Mrs. Dorland had one child, a son named John “Sinclair” Dorland who was born in Rodney on the 17th of March, 1910. (He died in 1987 and is buried at the Rodney Cemetery). John Sinclair Dorland wrote a book called, “Rodney 1850-1950”, that was published by Mercury-Sun Publications in Rodney. The book was dedicated to his father and he wrote of his father, “A large-hearted, broadminded, kind man”. 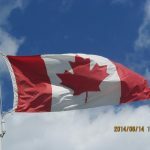 Dr. Dorland was Chairman of the Public School Board in Rodney for 10 years and he was the Medical Officer of Health for 40 years for the Township of Aldborough. He belonged to the I.O.O.F. and he was a charter member of the Masonic Lodge #441. Dr. Dorland was a gifted speaker and he wouldn’t hesitate to teach and lecture when requested. He was particularly gratified to speak to youth groups. Dr. Dorland started lawn bowling in 1908 and he enjoyed it for many years. The community of Rodney and the surrounding townships threw Dr. Dorland an 80th birthday party in 1929, in appreciation for the years of faithful service that he provided to his patients. He was presented with a gold-headed cane at the banquet. Mrs. Dorland died on the 5th of January, 1930. At the time of her death, Dr. and Mrs. Dorland lived on Stinson Street in Rodney (North corner of Stinson and Powell Street). She was buried in the McKay family plot at the St. Thomas Cemetery. According to the book written by John Sinclair Dorland, his father worked up until a few months before his death. Dr. Dorland died on the 29th of May, 1932. He was buried beside his wife in St Thomas. *The webmaster is grateful for the assistance of Lesley Buchanan, Manager of the St Thomas Cemetery.